his morning, Anne Stanley MP the Federal Member for Werriwa attended the unveiling of a historic portrait of The Hon. Linda Burney MP. 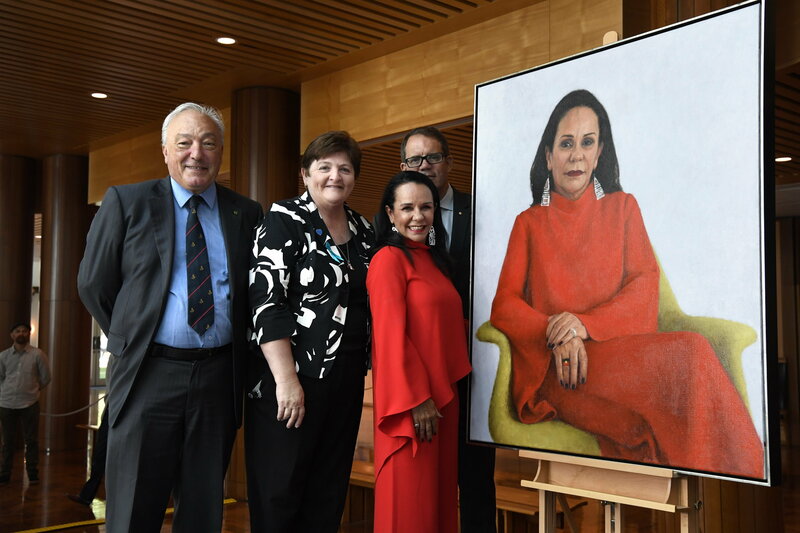 The portrait was commissioned to mark Burney's election as the first Aboriginal woman to the House of Representatives. As of today, the portrait hangs in Parliament House's Room of Firsts in the Member's Hall. "It was wonderful to see Linda's achievements recognised by a portrait in the historical collection." "Linda Burney has been a trail blazer all her life. Linda was not counted in the census until she was 14, yet she has accomplished so much: as a school teacher; as a Minister in the State Parliament; and as the Shadow Minister for Family and Community Services. I am privileged to call Linda a friend - she is a wonderful mentor and generous in her friendship."